The purpose of this pack is to provide a research platform for students and teachers of MS4 by exploring key exam question areas relating specifically to a question topic. Advertising can be problematic in relation to answering questions on Genre in Section A, for example, (dependent on campaign choice) but can often be a best fit for questions on Regulation in Section B. Students must choose carefully to select the question in the exam that best relates to the industry and texts they have studied. As a result, this resource has a heightened focus on specific question areas. Centres are reminded of the need to study a campaign across at least 2 or 3 platforms and not single adverts. It is understood, however, that textual analysis will need to focus on individual examples to support macro analysis. 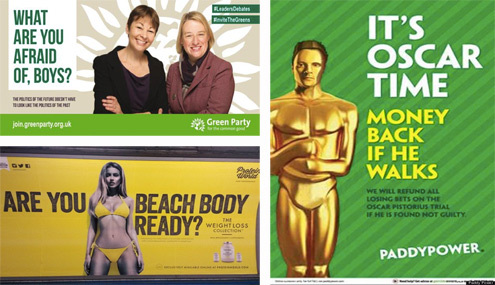 The Green Party 2015-2016 General Election advertising campaign was intended to show how ‘The Greens’ do politics – differently. The campaign included website and social media communication with above the line advertising focusing on billboards, print adverts in selected newspapers and a stand alone high production value moving image advert. 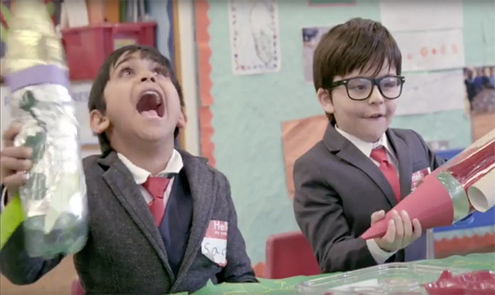 This iconic advert anchored the campaign and was based in a primary school with the dominant preferred meaning that politicians operate a system of male dominated playground politics. The advert was called GrownUpPolitics.